“Suppose I was a young man. I would have said that I am resigning. But I’m a mature person. I am waiting to go back to Butiama, and that is why I like saying I am moving out. My time has come, and it came long ago, but I extended it for the last five years for reasons known to us all. That is why I am saying I am moving out, rather than saying I am resigning. You can resign and come back next year. But I do not have the intention of coming back next year. I am moving out” – Julius Nyerere quoted in African Concord (June 15 1990). THE ARMY. Three things have helped our nation to maintain the unity and tranquillity which we enjoy at present – the Swahili language, the Arusha Declaration and the one- party system. Perhaps I should add a fourth: the patriotic and political army. THE CCM PARTY. Those who are nowadays called party leaders are not true leaders. They are just people who cause irritation …. had all our leaders had the inclination and habit of helping the citizens we would not be where we are, in a situation so abysmal that the President of our country is forced to solve even minor problems. ON MULTI-PARTYISM. If one cost of changing from our system of one party democracy and trying a multi-party system is to make our army keep out of politics, this alone seems to me a sufficient reason for continuing with the present system……. When you divorce your wife and then marry another and you discover that your second wife is a disaster (laughter) it is difficult to return to your former wife. If we try multi-party democracy and then fail the likeliest system to ensue thereafter will be a one-man dictatorship or military rule. ON HIMSELF. I shall cease to be Chairman … at the end of this meeting but I shall not cease to be a member and an active member of CCM. PRESIDENT MWINYI said that Tanzanians were most unhappy about his decision but they had received it with respect and honour .. . Mwalimu had bequeathed to him a Tanzania which enjoyed unity, peace and stability; a Tanzania with a good reputation and respect in the world ..
GBENGA AMUSAN in AFRICAN CONCORD wrote that Tanzanians had good reason to call him ‘Mwalimu’ – the teacher who knows how to teach the world glorious, long- lasting lessons in selfless service to humanity irrespective 01 colour, class and creed. AHMED YAHYA in AFRICA EVENTS: It is in his ideals beyond bread and butter politics, that history will see him to have made his mark. He fired in his people a throbbing faith in the finer nuances of moral goals …. He gave Tanzanians a unique stamp of self-righteous superiority, in a way that no other leader in Africa has. But in being rigidly too true to his beliefs and doctrines, he has been like that other rare creature, the Panda in the wild, not extinct but doing little to avoid that sorry fate. RICHARD DOWDEN in the INDEPENDENT: Discredited? Downcast’? Just a little disillusioned? Julius Nyerere, the man who inspired a generation with a philosophy of bootstrap DIY socialism, flicks away the suggestion of failure as if it were an irritating fly … the charm, the smile, the bursts of laughter, the challenging, ironical way of talking – at 68, Mr Nyerere still weaves a spell … he is the most influential African political thinker of his generation .. . (but) his ideas have been tarnished by their implementation under his leadership. Dr Salmin Amour (48) was unanimously nominated in a secret ballot by the 171 members of the CCM National Executive Committee (NEC) as sole candidate for the Presidency of Zanzibar He has been involved in politics since the age of 15. He is a member of the CCM Central Committee and is the NEC’s Secretary for Economic Affairs and Planning. His PhD was in Political Economy. He is credited with having played a significant role in the formulation of the Party’s economic policies. He has worked as Principal Secretary in the Zanzibar Ministries of Finance and Trade and Industry and has also served as Secretary of the Zanzibar Revolutionary Council. Zanzibar President Idris Abdul Wakil said that he had retired because he needed time to rest. He had been widely expected to be nominated again as candidate for the Presidency. The former Party Secretary General and now Party Vice-Chairman Mr Rashidi Kawawa said that he had been thinking of retiring due to his health problems but this had been refused by Mwal1mu Nyerere because they could not both retire at the same time. Zanzibar Chief Minister Dr Omar All Juma, a likely successor to President Wakil, was praised by Mwalimu Nyerere for ‘not being politically greedy’. He had declined to be considered for the Presidency and had pleaded that he was young and a newcomer to politics. The new Party Secretary General is Mr Horace Kolimba (47) who was formerly Chairman of the Union of Tanzanian workers (JUWATA). Presidential and Parliamentary elections will be on October 28th 1990 – Daily News. As we go to press and with the crisis in the Gulf at its height, a Senior Tanzanian diplomat, asked by the Bulletin what Tanzania’s position was, said that, as far as he knew, Tanzania had not issued an official statement on the crisis. But such a statement would hardly be necessary as Tanzania was well known to be totally and unequivocally opposed to aggression by one state against another. At the CCM Party Conference President Mwinyi is reported to have made a passing remark on the subject – “…. due to a modest increase in our foreign currency earnings in the 1989-90 fiscal year we have been able to pay our debts to the international monetary institutions …. for example, we were able to pay OPEC and the Kuwait Fund, thus making those institutions start lending to us afresh (Applause). It is a pity that Kuwait no longer exists” – Editor. The underlying purpose of the legislation is twofold. First, it establishes machinery for the stimulation of investment in Tanzanian industry and offers tax incentives for investment in new enterprises and the expansion or rehabilitation of existing enterprises. Secondly, it lays down rules to ensure that new investment, particularly from overseas, does not lead to abuses and is directed towards enterprises of greatest importance to the Tanzanian economy without creating new burdens only capable of satisfaction in foreign exchange. The first of these objectives arises from a recognition that an attempt must be made to attract foreign capital if the pace of economic development is to be maintained. Despite attempts to stimulate domestic saving by a new government bond issue and maintaining interest rates at levels comparable with the rate of inflation, local resources alone will be inadequate to sustain economic development at more than a very slow pace. The appointment of Mr George Kahama as Director General of the new Investment Promotion Centre is intended to make use of his earlier experience as General Manager of the National Development Corporation, a holding company for the financing of Tanzania’s growing industrial base in the sixties and seventies, The establishment of the Centre will attract the approval of the World Bank and bilateral aid donors. Tanzania has, however, learned the hard way how counter productive foreign investment can be. First, there is the danger of transnational corporations, having invested in Tanzania, exporting products at artificially low prices in order to gain a cost benefit elsewhere, a practice that would have the effect of forcing Tanzania to subsidise a foreign firm. Secondly, externally funded projects may be so designed as to rely heavily on imported raw materials and equipment, resulting in a net outflow of scarce foreign exchange. Thirdly, the technology chosen may be quite inappropriate to Tanzanian conditions and both expensive and difficult to maintain. There are examples of all these shortcomings in the earlier history of industrialisation in Tanzania. It was therefore essential to impose on the Director General a duty to satisfy himself that a proposal will a) maximise foreign exchange earnings and savings, b) enhance import substitution, c) expand food production, d) increase employment opportunities and enhance human resource development , e) conduce to the efficient use of productive capacity of existing enterprises and f) improve linkages between different sections of the economy. The Director General will also have to consider other matters such as the source of raw materials, employment conditions, siting, the financing plan and ‘the need to generate constructive competition among enterprises’. These enquiries may seem onerous and could lead to bureaucratic delays. To minimise this risk the Act requires Ministries, to which aspects of a proposal are referred, to reply within 14 days and enjoins on the Centre to give its final decision within 60 days. It remains to be seen whether such time limits will be reasonable in practice or will lead to slipshod decisions. A great deal depends on the willingness of the promoters to provide reliable information without delay which they are bound under the Act to submit. If an affirmative conclusion is reached a Certificate of Approval is issued. The Certificate may be amended or transferred with the approval of the Centre. Where its terms are not adhered to, or in the event of fraud, a Certificate may be cancelled in which case the Centre may withdraw any rights and benefits and, if necessary, require the promoter to sell the enterprise. As an incentive to investors The Act provides for a tax holiday of five years with respect to the taxation of profits and the witholding tax on dividends. Thereafter the normal rates of tax will apply to profits, namely, 50% for non-resident investors, 45% for residents and 22.5% for investors in cooperative societies; witholding tax on dividends – 10% for non- residents and 5% for residents. Import duties and soles taxes on equipment, machinery, spare parts and materials to be used solely for the purposes of the enterprise are remitted. An enterprise may be allowed to retain in a foreign exchange account a proportion of its earnings abroad and up to 50% of such holdings may be used for the servicing of debts, the payment of dividends and the satisfaction of other external obligations. The apparent effect of this provision is to limit the proportion of foreign exchange earnings available for payments abroad to less than 50%, though the actual proportion is not defined. The Act empowers the enterprise to pay dividends and profits to foreign investors in the approved foreign currency at the prevailing rate of exchange; to transfer abroad an approved proportion of the proceeds of sale of the enterprise; and to provide for the servicing or repayment of any foreign loan specified in the Certificate of Approval. Whether these provisions override the 50% limit referred to in the final sentence of the last paragraph could be a matter for legal debate. The payment of dividends is, however, limited by the terms of the Companies (Regulation of Dividends and Surpluses and Miscellaneous Provisions) Act 1972 to the average of profits made in the last three years, or 80~ of the profits arising in the previous year, or such sum as will reduce the net worth of the enterprise as disclosed in the balance sheet to not less than 125% of the par value of the paid-up capital. The Minister has the power, subject to prior approval by the National Assembly, to authorise an enterprise to pay dividends at a higher rate, but this provision is unlikely to be used except in exceptional circumstances. The trouble with these provisions is the extent to which they rely on permissive powers to be exercised by the Bank of Tanzania, or presumably by the Centre. In order to remove the anxieties of investors it may be necessary to spell out in regulations made under the Act the precise meaning to be attached to such phrases as ‘A portion of their foreign exchange earnings’ or ‘an approved proportion of the net proceeds of sale’. The word ‘approved’ also requires definition. As it stands the Act appears to favour projects involving only a limited foreign exchange commitment for operational purposes and to operate against entirely foreign-owned enterprises, which would be unable to recover in foreign currency more than a proportion of the proceeds of sale in the event of withdrawal. These may be justifiable acts of policy, but it may be necessary to delineate the borderline more clearly if foreign capital is to be attracted. An approved enterprise cannot be compulsorily acquired except in the national interest and after due process of law, in which case, full, fair and prompt compensation must be paid in transferable currency. The Act lists in a schedule three types of enterprise. Part A refers to areas of priority for private investment. Part B enumerates the areas reserved for public sector enterprises, except where the Minister grants a special license. In Part C appear those enterprises reserved for investment exclusively by Tanzanian nationals and those that are closed to foreigners investing less than $250.000. By far the most comprehensive list appears in Part A. This legislation is essentially experimental. Many developing countries, not forgetting Eastern Europe, are competing for investment capital and it is not known whether investors will be attracted by the prospects offered by Tanzania. Decisions about investment also take into account circumstances other than those covered by legislation, such as the country’s political stability, the climate, the availability of staff housing and the personal taxation of expatriate staff. So, only the future will show whether these investment provisions will have the intended results. When Tanzania gained independence in 1961 the media was controlled by private interests. The country’s leading newspaper and only dally, the ‘Tanganyika Standard’ W8S owned by the London-based Lonrho Company. Dr Julius Nyerere laid the foundations of Tanganyika’s first important African press. In the mid 1950’s he produced ‘Sauti ya Tanu’ , a duplicated newsletter in a mixture of English and Swahili which was later renamed ‘Mwaafrika’. On several occasions the paper clashed with the British colonial authorities, leading, in 1985, to the jailing of its editors. Dr Nyerere, as the de facto editor, was fined for a libel against the British Governor. In 1961 TANU launched a pre-independence daily – ‘Uhuru’ meaning Freedom. In April 1964 the Party launched its first English language newspaper ‘The Nationalist’. 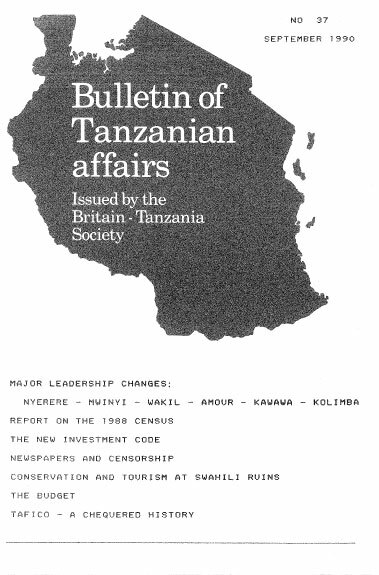 After the Arusha Declaration many firms were nationalised and the axe finally fell on the independent press in 1969. The ‘Tanganyika Standard’ was renamed the ‘Standard Tanzania’ but its Sunday partner continued under the title ‘Sunday News’, a title it has retained to this day. President Nyerere maintained that he did not wish the Standard to be a government mouthpiece but expected it to give general support to government policy. In practice however, the then editor, Frene Ginwalla, often consulted the President or his office for direction on stories, particularly those pertaining to major political decisions and the Liberation struggle. But, despite directives from State House, Miss Ginwalla also proved that she had a mind of her own. During the crisis which brought Field Marshall Idi Amin to power in Uganda, Ginwalla printed stories without Presidential guidance. Not eyen President Nyerere himself was free from criticism. When the President turned to Barclays Bank for funding a project in East Africa, Miss Ginwalla stated that the wrong partner had been picked because Barclays was funding a massive dam project in the Portuguese colony of Mozambique. While President Nyerere, as Editor In Chief, took the criticism in good spirit, it is said that this was the last time the Tanzanian Head of State was criticised in the columns of his country’s media. Miss Ginwalla was later replaced. The ‘Dally News’ (circulation 50,000) is currently the one daily English language newspaper; it is supported by government subsidies. The ‘Sunday News’ has a circulation of 50,000, the Swahili ‘Uhuru’ 100,000 and its weekend edition, ‘Mzalendo’ 115,000. Most other publications are produced either by the Ministry of Information or by organisations which have government support. Among the periodicals are ‘Foreign Trade News Bulletin’, ‘Gazette of the United Republic of Tanzania’, ‘Jenga’, ‘Mbioni’, ‘Mfanyakazi’, ‘Mlezi’, ‘Mwenge’, ‘Nchi Yetu’ and ‘Ukulima wa Kisasa’. There are three well-organised private Christian publishing houses which publish Swahili periodicals. These include the fortnightly ‘Kiongozi’ (circulatlon 103,000) owned by the Roman Catholic Church, the quarterly ‘Sikiliza’ (100,000), published by the Seventh Day Adventist Church and the quarterly ‘Uhuru na Amani’ (10,000) published by the Evangelical Lutheran Church. Generally Tanzania has a good reputation when it comes to the treatment of its media personnel. There is no government censorship nor open intervention in the dissemination of news. But editors avoid publishing sensitive items which might embarrass the authorities particularly on major issues affecting the ruling Party. The training of Tanzanian journalists at Kivukoni College includes heavy emphasis on political orientation. Journalists have been instrumental in the exposure of corruption. It was press reports on the General Agricultural Export Corporation which ultimately led to the trial of its top executives and a journalist on ‘Uhuru’ uncovered a massive theft of foreign exchange from the National Bank of Commerce. The reporter received Shs 5,000 reward. But the biggest accolade and Shs 20,000 was reserved for SHIHATA reporter Augustine Mbunda who singlehandedly pursued a story in which a Member of Parliament was found in illegal possession of 105 elephant tusks. Until 1987 the English language ‘Sunday News’ had no competitor but the tables were turned when a local publisher Dr Anicet G. Leopold launched an independent weekly, the ‘African Baraza’. But the newspaper hit trouble with its first issue. Seasoned journalists said that one story had made critical comparisons between the governments of the first and second Presidents of Tanzania and police impounded all the copies of this one and only issue. In 1988, however, another weekly English language newspaper the ‘Business Times’ was launched. This broke new ground. It is bold enough to criticise government policy and carry scoops that have eluded the existing newspapers. Tanzania has few foreign correspondents. Most prefer to cover Tanzania from Nairobi. There was an outcry among foreign journalists when what amounts to compulsory licensing of all journalists was introduced. Foreign Journalists have to pay a prohibitively high price for press cards – 5hs 40,000 in hard currency. Local Journalists pay Shs 5,000. Seven foreign news agencies have bureaux or representatives. They include the Soviet Agentsvo Pachati Novosti, TASS, the Inter-Press Service of Italy, Reuters and Newslink Africa of Britain, Xlnhua of China, Prensa Latina of Cuba and the Associated Press of the United States. Olduvai Gorge, Kilimanjaro, Ngorongoro and Serengeti are not the only splendid assets that Tanzania offers the tourist. Along the hundreds of miles of Tanzanian coast lie numerous ‘Swahili’ ruins dating from what in Europe would be called the ‘Middle Ages’. Some are well-known, though infrequently visited, such as the sites with resident curators administered by the National Museums of Tanzania at Kilwa Kisiwani, Songo Mnara, Kunduchi and Kaole. Many others are however neglected and are seldom visited except by the local inhabitants. 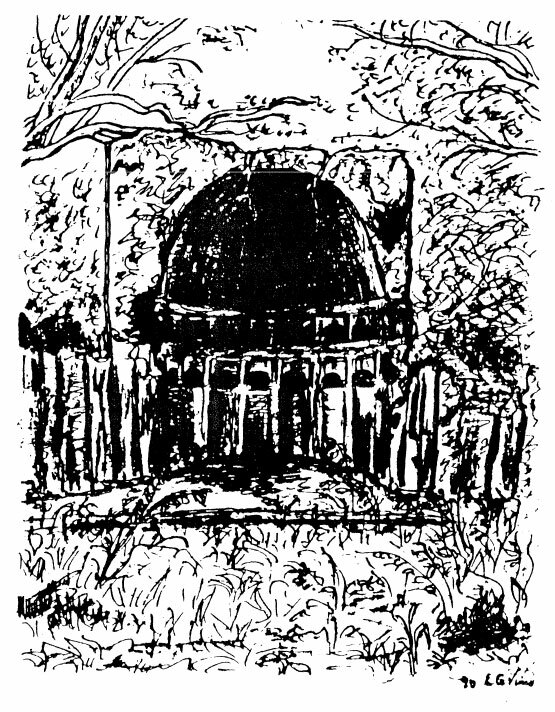 Our knowledge of these ruins derives largely from the pioneer work in the 1950’s and 1960’s of the archaeologists Neville Chittick and Peter Garlake. Their fieldwork and reports provide the basic archive from which all subsequent study and survey commences. In conjunction with the Department of Antiquities these sites were revisited in 1967 to assess their current state of preservation and to make an up to date photographic record of what remained. These brief visits to the Mosques and other coral-built structures on the coast from Kilwa up to Tanga provided confirmation of what everyone feared – that many of the sites had deteriorated seriously in the twenty years since Chittick’s and Garlake’s assessments. This of course is not at all surprising given Tanzania’s poverty. Health and education must clearly take priority over crumbling ruins. But within these constraints Tanzania could still capitalise on her heritage of ruins. Different dangers face different monuments. Simple neglect was the most common threat to the sites in isolated locations. Foliage and bush were slowly breaking up the fabric of walls through their iron grip. This was however the least serious threat, although affecting some 70% of the sites visited. The simple and not too costly answer would be occasional modest clearance of particularly threatening undergrowth, but this creates its own problems. Many of the neglected Mosque sites are shrines to local ancestors, littered with carefully placed offerings of cloth, rose water or money. Disturbing such monuments would breach the sanctity they continue to enjoy. 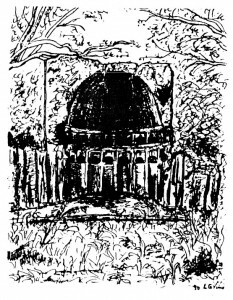 It can therefore be argued that their secondary religious nature should be respected as much as if they were complete and functioning Mosques, accepting that the local people are happy to tolerate the undergrowth as an integral part of their ancestor’s shrine. A second threat noted at 10% of the sites visited along the coast was robbery. The situation at Kisiju was especially worrying. The local population had taken to robbing the sites in the area for building materials. This has meant that in many places ‘robber trenches’ remain as the only witness of where walls once stood. Kisiju is a problem because of the ‘Ujamaa’ settlement there which means that many of the local population are originally from other provinces of Tanzania. They therefore feel little affinity with the ancestors of the ruins. The visiting team was told by one incredulous local that it was the first visiting team to ever show interest in the ruins. Although Tanzania continues to suffer from acute poverty and a lack of development, where economic development has taken place or is proposed could have lasting consequences for the ruins. Construction related to the oil and gas industry on the island of Sobngo Songo has severely damaged the island’s ruins. It is a reminder both of the potential threat to Tanzania’s heritage and of the need for archaeological consultancy if the plans to develop the Kilwa archipeligo by the petro-chemical industry go ahead. There is no reason why development and conservation could not go hand in hand. In Botswana legislation stipulates that all development projects need to be first assessed for their potential environmental damage. Companies are obliged, as part of this process, to obtain planning permission and therefore to consult an archaeologist. In Tanzania both the Archaeology Unit at the University and the Antiquities Department have the expertise to carry out such work. One further threat is unique to the standing and still functioning Mosques. With the growth of fundamentalist Islam and the tensions and competition between Sunni and Shi’ite traditions stimulated by the Iranian, Omani and Saudi Arabian funds flowing into Tanzania to support their particular brand of Islam, historical Mosque edifices are beginning to be modified by renovation or alteration reflecting the form of Islam practised by the different congregations. For the architectural historian this is particularly worrying. Initiatives by more fundamentalist and puritanical sects have begun to cover over and, at times, destroy decorated Kiblas. These could, if they offend be whitewashed or covered over which would preserve them for future scholars. There is no reason why they, should be destroyed. They are a valuable part of East African and, indeed, world history, proving visible evidence of the past great trade routes of the world. We have only to think of the loss to British culture and research from the depredations of Middle Age art in British churches by the Puritans to assess for ourselves the potential loss to Tanzania’s awareness of her past and of her tourist resources. One of the striking features about the Tanzanian mainland and its monuments, in contrast to Zanzibar or Kenya, is the lack of marketing, publicity and care. Kenya makes much of Gedi, near Malindi and Fort Jesus in Mombasa as tour destinations. Tanzania may not wish for cheap mass tourists but it is experienced in conducting specialist game tours. Research such as that described by Mark Horton in this Bulletin (No 35) is an important first step in awakening a wider audience to this aspect of Tanzania’s cultural heritage. The next stage should be feasibility studies of ruins as a potential tourist attraction. This has been done already 1n Zanzibar where the international project to rehabilitate the Stone Town is in part a response to such groundwork. Perhaps the mainland could learn from Zanzibar whose ‘National Museums and Monuments’ is about to launch a Development Plan for ruins and monuments. As UNESCO World Heritage Monuments, the ruins In Kilwa archipelogo could certainly attract specialist tours which could provide badly needed foreign exchange. It is a shame that the existing lack of coordination between those with the relevant expertise in Tanzania in National Museums, Antiquities and the Archaeology Unit to bring about such a plan will mean that Kenya and Zimbabwe will market and continue to prosper in an area that Tanzania could equal or surpass. Mr ALEX VINES has held the graduate scholarship at the British Institute in Eastern Africa. He is currently a part-time tutor for African Archaeology and History for the Workers’ Educational Association (WEA). Prime Minister Joseph Warioba has announced that farmers are now free to export some non-traditional crops directly. The country’s traditional export crops are cotton. coffee, tea, tobacco, sisal, cashewnuts and pyrethrum which are exported through marketing boards. The crops which can now be exported directly include pigeon peas, green mong. yellow gram, groundnuts, simsim, fruits, flowers and spices. Reader Mr W. Wenban-Smith has pointed out an error on page 31 of Bulletin No 36. We have now checked with the International Coffee Organisation which states that coffee production in Tanzania in the 1990 -91 season was 928,000 60 kilo bags equivalent to 55,702 tons. In 1989-90 production totalled 858,000 bags. We have not been able to obtain the earlier figures – Editor. Tanzania has been receiving a record amount of attention in WORLD BANK NEWS in recent months as it has acquired a number of new IDA credits. ‘Tanzania Modernises Dar es Salaam Port’ (March 1990)- US$ 37.0 million designed to double the capacity of the port’s container terminal and improve other port services. ‘Tanzania Tackles Problems of Malnutrition. Ineffective Health Services’ (March 8) – a US$ 70.0 million project. ‘Tanzania Set to Revitalise Agricultural Sector’ (April 5) – an IDA Credit of US$ 200.0 million in which the emphasis is on reducing the Government’s role in marketing while encouraging cooperatives and the private sector. ‘Tanzania Rehabilitates Road Network’ (June 7) – a US$ 871.0 million project aimed at restoring 60% of the nation’s primary roads and 50% of the regional road network in 11 agriculturally productive regions. In its item on a new Education Project (US$ 38.0 million credit) WORLD BANK NEWS described Tanzania’s Education sector as having deteriorated from ‘what was once an exemplar system to one that is now on the brink of collapse’. The article went on to state that primary school enrolment had dropped from 96% of all eligible children in 1979 to 78% in 1978. Secondary school enrolment was amongst the lowest in the world, with only 37% of pupils between the ages of 14 and 17 attending school. School buildings were dilapidated and there was no system in place to maintain them. The project includes construction and renovation of schools, more appropriate curricula and improvements in management of the system. ‘In 1974 the CCM Party resolved, in what came to be known as the Musoma Resolution, that by November 1977 every child of school age would receive an opportunity of enrollment in Std 1 of a primary school. As a result Std 1 enrolment grew from 433,000 in 1974 to 878,000 in 1977. This figure included, not only children in the seven year age group, but also many older children who had missed an earlier chance of primary schooling. The subsequent percentage decline and reported deterioration in standards were largely caused by financial stringency. The original Party decision on Universal Primary Education (UPE) had been taken on the basis of a cost calculation made in 1969 and it is doubtful whether Tanzania could have withstood the burden of UPE, even in favourable circumstances, without a serious decline in standards. In the case of secondary education the number of schools in the public sector remained almost constant from 84 in 1977 to 86 in 1985, reflecting in part the priority given to primary education. One consequence was the blossoming of the private sector. By 1988 the number enrolled in the private sector was 38% greater than in the public sector. Inevitably the standards in private schools in most cases were very poor owing to 1ack of resources and teaching skills’. 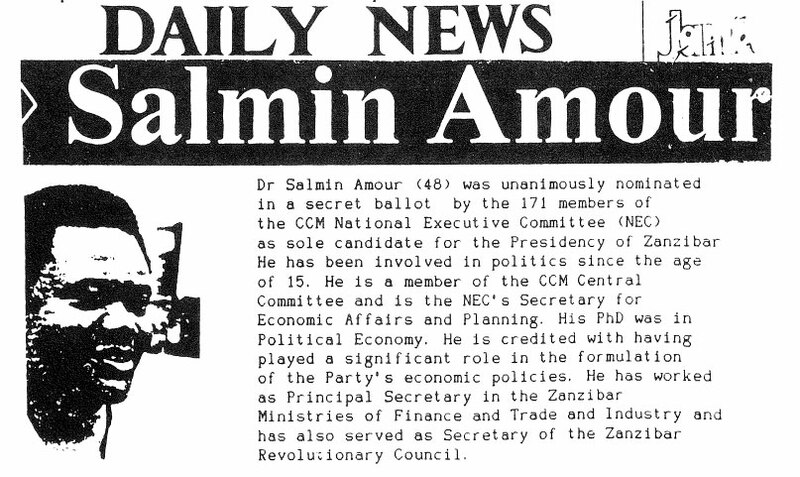 Under this heading AFRICAN CONCORD in its June 18th issue wrote that Tanzania’s President had kicked against a suggestion by Western nations to make the adoption of multi-partyism a condition for economic aid. President Mwinyi had told the Vice-President of the European Community Manuel Marin that this amounted to both political and economic blackmail of the poor. It is not proper for external powers to force their political standards on others. Microbiologists at the University of Dar es Salaam have discovered a new way of converting organic matter into fuel according to USPG NETWORK, the journal of the United Society for the Propagation of the Gospel’. The breakthrough came when they discovered how two micro–organisms affect each other in the mouth of the cockroach, which is famous for eating anything. As fossil fuel reserves decline they leave biomass as the most important potential resource for producing renewable energy. Until now the process – which involves the breakdown of cellulose – has been too slow for practical use. Now, thanks to Tanzanian scientists and the humble cockroach, natural systems may be developed which will speed up the process and give the world an alternative source of energy. What entertainer hasn’t dreamed of seeing his or her name in lights asked TIME magazine in an article in its June 4th issue. It then went on to describe and illustrate in colour how Tanzania is now offering the ‘stellar names of the black entertainment world’ something different – their faces on postage stamps. Those featured included Makossa saxophonist Manu Dibango from Cameroon, comic actor Eddie Murphy and Singer-songwriter Stevie Wonder from the USA, South African singer Miriam Makeba and the late Sammy Davis Jr.
article in its June 18th issue that Bob Hope, Bing Crosby and the Hollywood movie to the contrary, there is no ‘Road to Zanzibar’. Stating that the latest brochure on Zanzibar from the tourist office in Dar was printed in 1963 and speaks of up to four flights daily and several passenger ferries, the article went on to describe how the ‘Virgin Butterfly’ (Bulletin No 33) which had plied the seas in airc-onditioned style had had to be towed to Mombassa for repairs and had then ‘just disappeared back to Scandinavia’ from which it came. Next had come the ‘Dolphin’, a fresh-water ferry from the USA which had been made seaworthy for sea water. For several weeks it had chugged from mainland to island in about three hours until it had hit a reef about six miles off Zanzibar and still awaited repair. houses, Zanzibar’s tourist industry could be saved. The thirteenth issue of the JAPAN – TANZANIA ASSOCIATION NEWS of June 13th reported on the State Visit of Tanzania’s President to Japan from December 17th to 22nd 1989. The President had attended welcoming ceremonies at the Akasaka Palace, a dinner at the Imperial Palace and had signed diplomatic notes for the extension of Yen 2.0 billion of Japanese grant aid. The Japan-Tanzania Association had sent more than fifty people to the welcoming ceremonies and had presented a Japanese doll to the President. In Kyoto the Presidential party had visited several historic places such as the Kinkakuji Shrine, Nijo Castle and, in Osaka, several electric factories. ‘It is a typical day at the University of Dar es Salaam. Ernest Maganya arrives a little breathless for the class he teaches in Developmental Economics, for he has been getting his usual practical experience in the subject. His professor’s pay of US$ 75 per month is enough to feed his family for- about a week, and he supplements this by ferrying produce and chickens to market every morning in an old pick-up truck. So began an article in a recent issue of the JAPAN TIMES quoting from the LOS ANGELES TIMES. ‘Down the hill from the classrooms’ the article went on ‘student President Matiko Matara arrives back in his office in the student center from which he was escorted at gunpoint two days earlier by the Tanzanian security police. The police had been questioning him about his role in fomenting an eight day student strike ….. they accused him of being on the US Central Intelligence Agency payroll. There followed a paragraph about the closure of the university. This story could be written about any of more than forty institutions of higher learning on the continent of Africa …. the condition of African universities night be described as a silent disaster. There are no dramatic photos, no heart-rending personal histories. But the cradles of African leadership are almost uniformly victimised by physical collapse, a ‘brain drain’ fuelled by ludicrously low salaries and political unrest. Government hostility, donor neglect and decades of mismanagement and inept planning are helping them crumble’ … . ‘The library at the Dar university is useful more as a chronicle of the institution’s past than as a study tool. In the periodicals room scarcely any of the technical journals are up to date. The file of Psychological Abstracts stops at 1963. Current biography at 1977. The most recent World Almanac is 10 years old. Bound volumes of the Times of London Index stretch back 30 years but the most recent issue available is dated 1977 …. ‘. In an article under the title ‘The Fisheries of Tanzania’ WORLD FISHING in a recent issue endeavoured, in two pages, to describe the whole of Tanzania’s fishing industry. ‘In 1974 the Government established a State-controlled fishing company TAFICO ostensibly to develop, manage and exploit all aspects of the marine fishery with particular emphasis on shrimps. TAFICO has had a chequered history since its inception. International aid donors with good, albeit misguided intentions, contributed vessels of varying designs ranging from 20m beam trawlers from Australia to 10m vessels from the UK, Finland and Japan …. the result was predictable: machinery of a multitude of origins and designs soon broke down with no provision for spare parts or other back up services. Boats became discarded with minor mechanical faults, to lie rusting on the beach in Tanzania’s humid climate. In essence, epitomising in microcosm what should not be done in developing countries which lack trained technical staff and support facilities. Happily. in recent years. the Government has reviewed its policies. TAFICO is now being assisted by Japan which is providing technicians and operating new prawn-catching vessels of the very latest design. Prawns are caught, processed and packed on board, ready for export. Foreign vessels under license have also been allowed into the fishery thus sharpening the competitive edge. Earnings have increased dramatically. Paradoxically, the local artisanal fishery is still the main producer of fish, accounting for some 85% of the total marine catch. It is a fishery that has remained virtually unchanged for hundreds of years ……. ‘. ‘By the year 2000 at the cost of US$ 1.9 billion of western aid Tanzania’s potholed road network will be restored to 70% of what it was in 1975. It is a damning assessment for a country which has consistently been ranked one of the world’s top aid per capita recipients’. The Swedish Ambassador was quoted as having said that “Tanzania came to symbolise our hopes in Africa. We supported a development policy we thought was correct and which appealed to the philosophy of our own country. But it was not successful. Sweden and others helped to drag Tanzania into the crisis”. WHY SHOULD AN ECONOMIC GIANT SWINDLE ONE OF THE WORLD’S POOREST NATIONS? Under this heading the Japanese newspaper ASAHI SHINBUN reported recently that a Japanese dealer in second- hand cars in Nagoya had had printed a glossy circular offering refurbished Japanese cars at bargain prices on receipt of cash from Tanzania. The cars did not arrive as promised. The Japanese embassy in Dar es Salaam issued warnings through the newspapers that some 50 people had responded and had lost their money. In all a sum of US$ 170,000 had been lost. A Japanese businessman in Dar es Salaam had subsequently written to the ASAHI SHINBUN appealing to Japanese people to compensate those Tanzanians who had been exploited and for the government to stop such schemes. The car dealer has been expelled from the Nagoya Chamber of Commerce. Sulk (Nuna) and Ire (Hamaki) sound rather bizarre as labels for political parties; but they are indeed the initials that stand for the names of two of the dissident political groupings that met in London recently as joint signatories to a challenging letter addressed to the Chairman of the sole and ruling party in Tanzania – the CCM. So began an article in the July issue of AFRICA EVENTS. The article went on: The document welcomes ‘the initiative of the CCM Chairman in allowing the introduction of. … competing parties in the political system of Tanzania, suggests changes in the Constitution to allow for multi-party activity and asks for the elections to be postponed to give time for new parties to register and campaign. ‘Oscar Kambona who fell out with Nyerere in the sixties, and is now in exile in Britain, is the leader of one of the parties the Tanzania Democratic Front. The monarchist Zanzibar organisation, dual based in Portsmouth and Dubai. …. endorsed the petition. Hamaki, led by … .. .. Marxist ex-Umma Party activists based mainly in Copenhagen were also there…… The Tanzania Action Front, centering around the highjackers of a Tanzanian civilian plane a few years ago were not to be left out. There were also the Nuna and Tanzania Youth Democratic Movement parties. Observers in London are … . rather at a loss to understand how such a …. combination could ever possibly have been achieved …… there is a common streak running through the leadership … most were once in senior positions in the cabinet, the civil service or the army … . they see a chance to snap back into the great whirlwind excitement of politicking in the centre rather than the outer wilderness of foreign lands’. The Bank of Tanzania has ordered 24 weighing scales to expand its buying activities nationwide. Since its takeover of gold purchases, black marketeers have pushed prices up in an attempt to defeat the Bank. On June 16th therefore the Bank announced that it was raising the price from July 1st in on attempt to drive out the black marketeers. AFRICA EVENTS in its August/September 1990 issue published a three page analysis aimed at determining the reasons for the closure of the University of Dar es Salaam by the Government on May 12. The Sokoine University in Morogoro remains open. The article concluded that there was still a lack of agreement about the real cause. It traced the events: a 12 day ‘Baraza’ amongst the students, joined at one stage by some members of staff; a student delegation to the President to invite him to come to the university to ta1k to them about their grievances (the control of the student organisation by the youth wing of the ruling party; education cuts; shortages of space, books, medicines etc; cuts in their spending power for food and lodging); a promise by the President to do so after a forthcoming overseas visit; the refusal of the students to return to their classes; a strong ultimatum from the government; an eventual reluctant return to classes; return of the President and his refusal to meet the students because they had originally disobeyed his instruction to return to classes; the placing on walls of all kinds of filthy posters by the students. The government stated that it was forced to take action because of the d6ngerous security situation that was developing. AFRICAN CONCORD wrote in its June 4th issue about the aftermath of the very severe flooding which Tanzania has suffered from this year. ‘It began as a trickle. But all too suddenly the heaven’s bowels opened and the rains came down in torrents. Tanzanian meteorologists have not seen such floods for more than ha1f a century. Worst hit regions were Lindi, Mtwara, Arusha, Dodoma, Tabora, Mara, Shinyanga, Morogoro and Kilimanjaro. 200,000 people have been displaced from their homes. Tanzanians themselves raised some US$ 268,000 to help the victims and the country received foodstuffs, tents, medicines blankets, utensils and building materials as well as cash donations from foreign donors. In a seven page article in the April issue of THE PARLIAMENTARIAN Tanzanian MP, Mr Philip S Marmo, compared aspects of democracy in Tanzania with democracy in certain other states. He pointed out that in the last 25 years, on average, more than half the incumbent members of Tanzania’s Parliament, including senior government Ministers had failed to be returned at elections. This meant a high degree of leadership circulation. Under one-party conditions elections tended to be much more unsafe for personal political careers than in countries where parties competed with each other’. Furthermore, the Tanzanian system allowed the electorate to choose the most competent persons as MP’s rather than having to vote for persons chosen by competing parties. The National Assembly’s 1990/91 Budget session began on June 5th in Dar es Salaam. The Assembly faced 885 questions from members and debates on all the different ministerial budgets. On its first day it voted to shorten the session by two weeks to give way to the Presidential and Parliamentary electoral process which was due to commence in August. The first stage, registration of voters began in August rather slowly and there were signs in some parts of the country of apathy. In the Budget debates the Ministry which had the toughest time was the Ministry of Communications and Works. Debate took the House to the verge of dissolution as member after member put the government to task over transport problems in various parts of the country. Three MP’s threatened to block the estimates and one called for the resignation of the Minister, Dr Pius Ngw’andu. The Member for Sumbawanga withdrew a shilling from the Ministry’s vote demanding an explanation as to why the government had again shelved a plan to put tarmac on the road Tunduma-Sumbawanga-Mpanda. The Minister had explained that he proposed to improve the gravel on the road. At this stage, Prime Minister Joseph Warioba intervened and said that, under the regulations of the House it was too late to introduce a token vote whereupon several member’s said that the Parliamentary Regulations would have to be amended. After a weekend to cool off, the Member was asked by the Speaker whether he had now changed his mind. He replied “No”. At this stage the Attorney General was called in to explain the rules. The House decided to approve the Ministry’s estimates less one shilling in order to establish a token vote. The Prime Minister then explained that the House had rejected the Budget by its actions and that meant that the House had to be dissolved. At this stage the Speaker set up a Party Committee which met behind closed doors. When the Members came together again in the evening it was stated that the Minister had agreed in writing to improve the road and the unhappy Member thereupon withdrew his objections. – delays in implementing Parliaments’ recommendations should cease. The main headline in the Daily News on June 8, 1990, which covered the 1990/91 Budget read ‘TAXES DOWN’. Taxation on salary income was reduced from between 10% and 50% to between 7.5% and 40% minimum taxable income moved up from Shs 1,900 to Shs 2,250 (the current exchange rate is about Shs 330 to £1); the minimum wage was raised by Shs 425 to Shs 2,500; the maximum salary for executives in the super scale category was raised to Shs 22,930 per month. And so there was some reason for satisfaction amongst taxpayers. People had expected something worse. But the new Minister- for Finance, Mr Stephen Kibona, made many other changes in his budget designed to create new sources of government revenue, ease tax collection and entice people to use bank accounts and save or invest in the economy. The Bulletin has space for only a summary of the many changes made. The Minister began his speech with good news on the economic recovery programmes. The increase in production in key sectors of the economy which had been recorded since 1986 had been maintained in 1989 and consumer goods were still available throughout the country. The GDP had grown by 3.9% in 1987, 4.1% in 1988 and was projected to grow by 4.4% in 1989. This compared with an average GDP growth of 1.5% in the years preceding the economic recovery programme. But, the Minister said, the objective of improving foreign exchange earnings had not made significant headway and the goal of providing drugs and medicines for hospitals and dispensaries, education and water for the people had been only partially achieved. Major problems existed in crop processing and transportation and in management in the cooperative unions and parastatals; there was a lack of accountability and a need to reduce red tape. Mr Kibona went on to say that Tanzania had continued to experience serious problems in servicing external debt. Roger Carter has been looking into this problem in some detail and reports that, while Brazi1’s and Mexico’s debts are from private sources, over 931% of Tanzania’s foreign debts are of official origin ie: from governments or inter-governmental bodies. In 1988 Tanzania’s long-term debt amounted to US$ 4,091 million and by December 1989, according to the budget speech, had reached US$ 5,090 million. In 1988 earnings from exports and services were barely a third of the cost of imports and, of those earnings, near1y 18% was paid out for interest and repayments. In 1970 the debt burden had amounted to 20% of the GDP. But by 1988 it had reached 165% or the equivalent of the total wealth created over a period of almost 20 months. The Minister stated that negotiations with creditor countries to reschedule or cancel debt obligations had proved very useful. Debt amounting to US$ 51 million had been cancelled and US$1,102 million had been rescheduled during the First Economic Recovery Programme (1986/89). During the Second Phase of Economic recovery (1989/92) some US$ 175 million had been cancelled and US$ 270 million was being rescheduled. As Roger Carter points out, Britain and the Scandinavian countries have been converting loans into grants for some years. Multilateral debts, which account for 35% of total long-term debt, consist mainly of World Bank loans incurred in the optimistic late sixties, they carry interest charges of around 8%; IDA (an affiliate of the World Bank) credits charge no interest and there 1s a grace period for repayments of ten years. A scheme has now been evolved for the use of IDA credits for the repayment of capital to the World Bank and in the financial years 1988/89 to 1990/91 about US$ 48 million of IDA money was made available. This met about 70% of the capital repayments due to the Bank during that period. Sweden and Norway have granted US$ 33 million since April 1989 towards the interest element in World Bank debt servicing. Nevertheless, Tanzania’s debt burden seems likely to increase. Grace periods for IDA repayments will end and completion of earlier repayments for IDA credits still lies some years ahead. On the other hand, repayment of Bank loans will be completed in the next few years. On balance, the servicing of multilateral debts is expected to grow only slightly. Bilateral and private debt servicing however, is expected to increase by something like 35% between 1990 and 1993, yielding by 1993 a total obligation of some US$ 585 million, a figure in excess of Tanzania’s total current export earnings. – a new ‘instant’ lottery introduced. The Minister of State (Planning), Prof Kighoma Malima, told the National Assembly on Budget Day that the rate of price increases for most consumer goods was slowing down. For most towns it was 23.8% in 1989. This meant that the inflation rate had slowed down by 4.5% compared with 1988 and was now the lowest since 1980. However, the rate was above the Economic Recovery target; it had been hoped that the rate of inflation would have been reduced to less than 10% by 1989.